Wind is a powerful force capable of bringing down trees and power lines and ripping entire structures off their foundations. While you cannot prevent severe windstorms from happening, there are steps you can take to protect your home from wind damage. Almost every home has weak spots where wind damage can occur. As a homeowner, you should strengthen these weak areas to minimize potential damage from a severe wind event. Here are some helpful tips to get your home ready this hurricane season. Asphalt shingles are vulnerable to high winds, especially if they are loose or deteriorating. Before the next wind storm arrives, have a professional perform a roof inspection. Your home inspector can identify areas that require repair or reinforcement. You may also get a recommendation on when you need to replace the entire roof to protect your home from wind damage. Wind can easily knock down tree branches. If you have a branch arching over your roof or even a dead tree in danger of falling on your home, you need to have it removed as soon as possible. A falling branch or tree can damage your roof and even penetrate into the attic or living space, allowing water and wind to come inside. A professional tree service can recommend what needs to be removed and can perform the work for you. A lightweight garage door is vulnerable during high winds. The wind can knock the door off its tracks and cause damage to your vehicles and/or the garage’s contents. A professional door systems technician can make recommendations on the best ways to reinforce the door. In some cases, you may need to get a newer, stronger garage door for maximum safety. If you have a storage shed in your backyard, make sure it is securely attached to the ground with an anchoring system. These lightweight buildings can easily be tossed around by high winds. Make sure other buildings on the property are properly secured to foundations or anchored down as well. When you receive a high wind advisory, take the time to bring in any loose items from the yard. This includes everything from the grill to the kid’s bikes to the outdoor furniture. Each one of these could become a flying missile during a severe wind, potentially causing damage or injury. Take action today to protect your home from wind damage. The first step is to have a wind mitigation inspection conducted to find what parts of your home are vulnerable. A certified home inspector can perform a wind mitigation inspection and make recommendations on helpful measures to better protect your property. 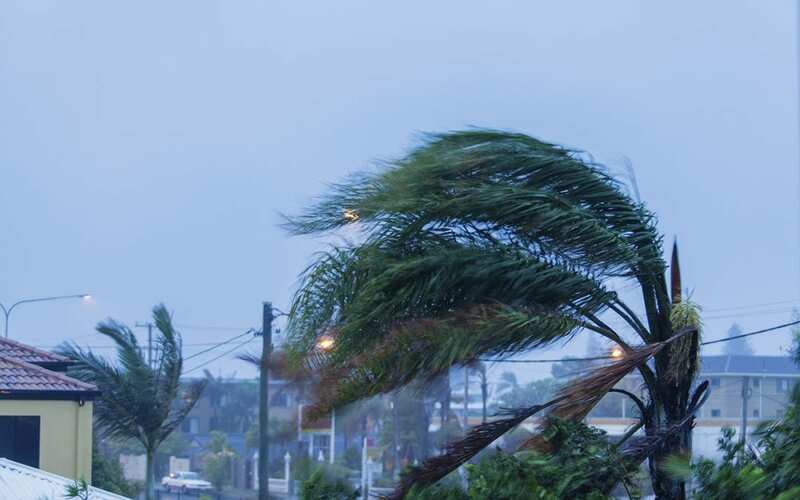 Many insurance companies offer discounts to homeowners who incorporate features that reduce wind damage, so the inspection often pays for itself in the first year. Lakeland Home Inspection Service provides wind mitigation inspections for Lakeland, Winter Haven, and Plant City in Florida. Contact us to schedule a wind mitigation inspection or any of our other home inspection services.